It’s that time of year when we stop to reflect where we’ve been, and think about what’s next. I took inspiration from some incredibly beautiful places in 2017. I spent time with cherished friends in Europe and the Southwest. I came face to face with my own mortality. And then, with my husband’s mortality. (We are both ok, I’m glad to report!) I said goodbye to an old friend. And, I learned the importance of letting go, taking stock, and looking forward. My photography continues to be a place of solace for me — something I can return to again and again to find peace. Today, I am sharing 12 photographs — one taken from each month of the year. Each photo has a story to go with it. Many of these images have been squirreled away all year and are only now being brought out in the light. This collection isn’t necessarily my “best of”, but each picture is a reminder of places visited and revisited. Gary and I visited my old stomping grounds in Northern California at the beginning of 2017. We live in the San Francisco Bay Area now, which is often referred to as Northern California. But, having been born and raised in Redding, CA, I never thought of the Bay Area as being “northern” at all. Mt. Shasta. Now, that’s the real Northern California. This was taken during that magical time after the sunset, called “The Blue Hour”. 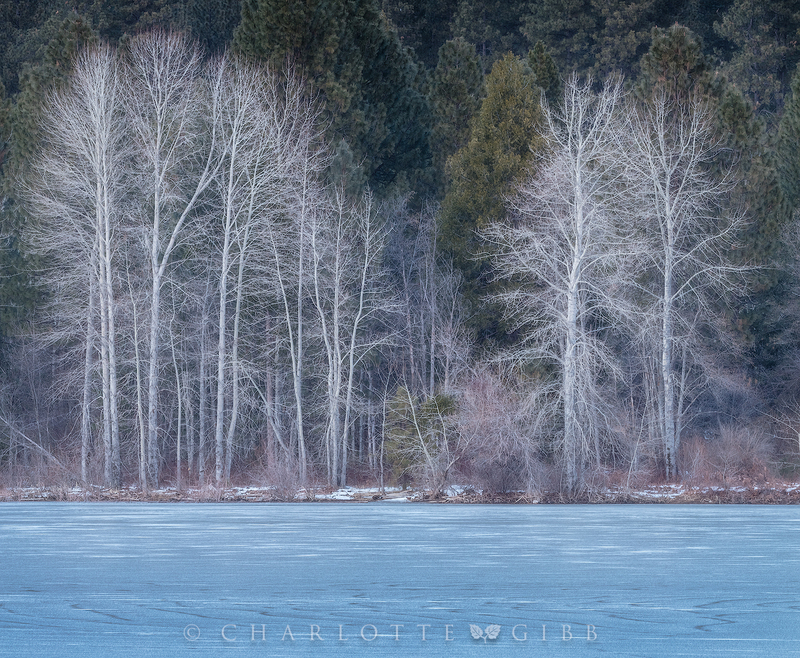 JANUARY — “Ice-Land”, Lake Siskiyou, Mt. Shasta, CA. Canon 5DsR with Canon 100-400mm f/4.5-5.6L IS lens. 200mm, ISO 100, f/16, 30 sec. 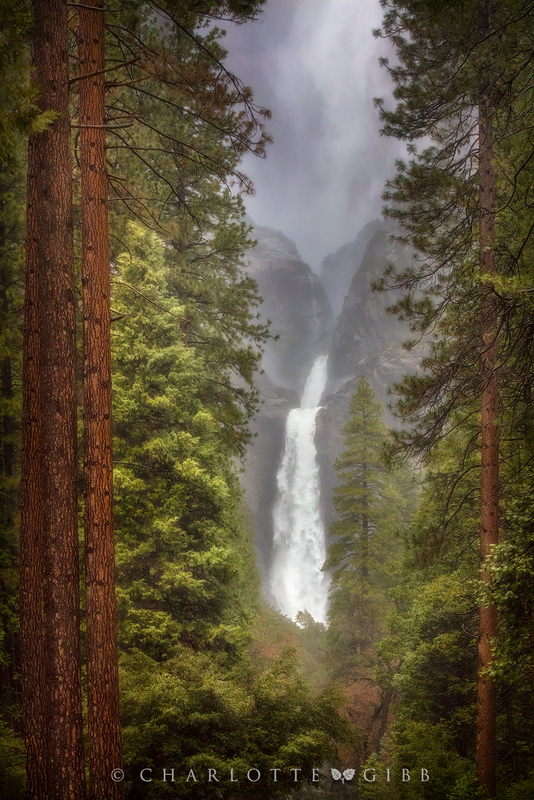 I cannot seem to stay away from Yosemite National Park for very long, especially when the waterfalls are gushing. The 2017 Winter was a wet one, and finally broke the back of our long, four-year drought. Record snow fell in the Sierra Nevada mountains, bringing much needed moisture to a dry state. 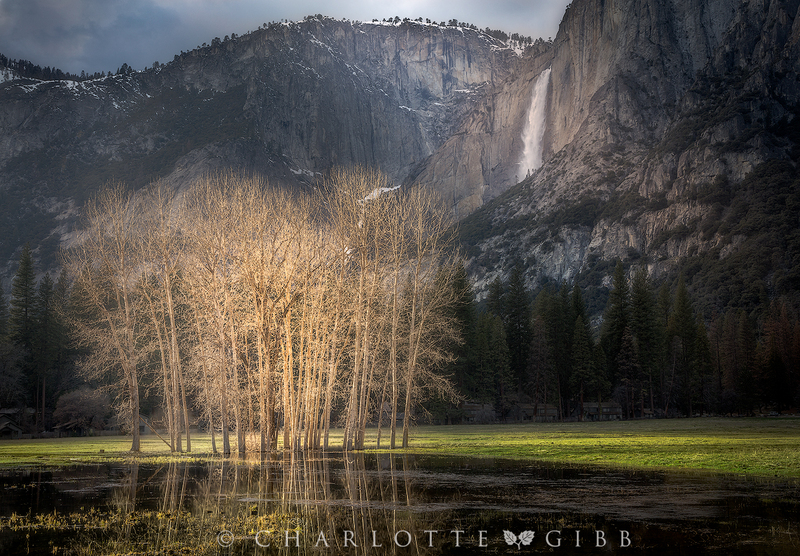 FEBRUARY — “A Wet Winter”, Yosemite National Park. Canon 5DsR with Canon 24-105mm f/4L IS lens. 45mm, ISO 100, f/16, 1/15 sec. Each year, my husband and I celebrate our wedding anniversary in Yosemite National Park. His special gift to me on our 27th year of marriage? He held the umbrella over my camera while I photographed my favorite waterfall in the pouring rain over the course of an hour at the crack of dawn. We had the place all to ourselves. I thought it was very romantic. Him, not so much. MARCH — “The Mighty Ponderosa”, Yosemite National Park. Canon 5DsR with Canon 70-200mm f/2.8L lens. 70mm, ISO 3200, f/16, 1/30 sec. Gary and I meticulously planned a Spring road trip to the Southwest, but things turned out much differently than expected. A death in the family plus a death in our company’s family and a scary trip to a Utah emergency room shook us up. 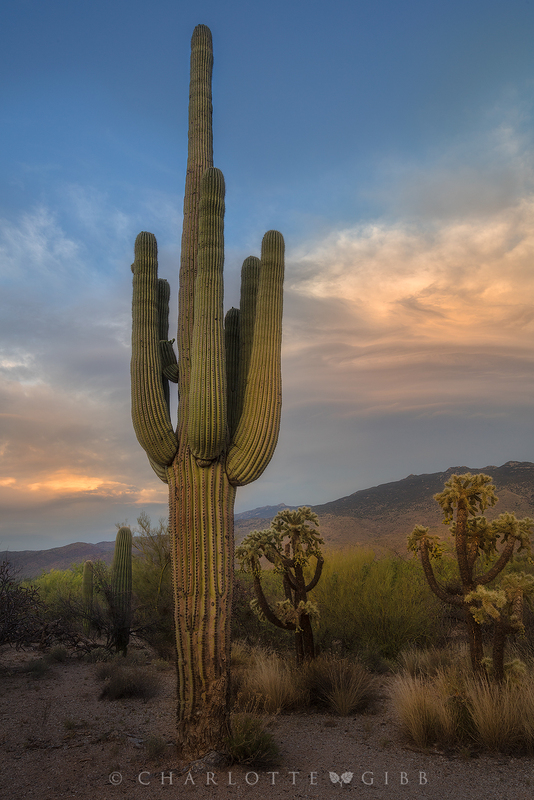 Not much photography happened during this trip, but I did get out on wobbly legs to see the giant cactuses of Saguaro National Park in the evening with our dear friends. APRIL — “Saguaro”, Saguaro National Park, Arizona. Canon 5DsR with Canon 16-35mm f/2.8L lens. 27mm, ISO 200, f/16, 1/13 sec. The month of May saw me back in Yosemite, and the blooming Dogwoods seemed to greet me with open arms. 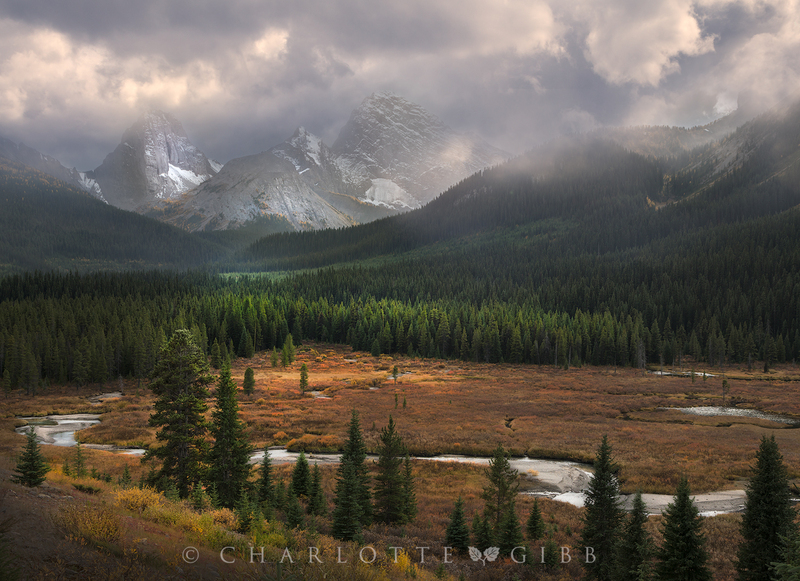 The snow in the high country was melting fast, and the meadows in the Valley were transformed into shallow lakes. I even saw a guy swimming backstroke in El Capitan Meadow! Photographically, it was a very productive trip. I was feeling more myself with every passing day and regaining my old strength. 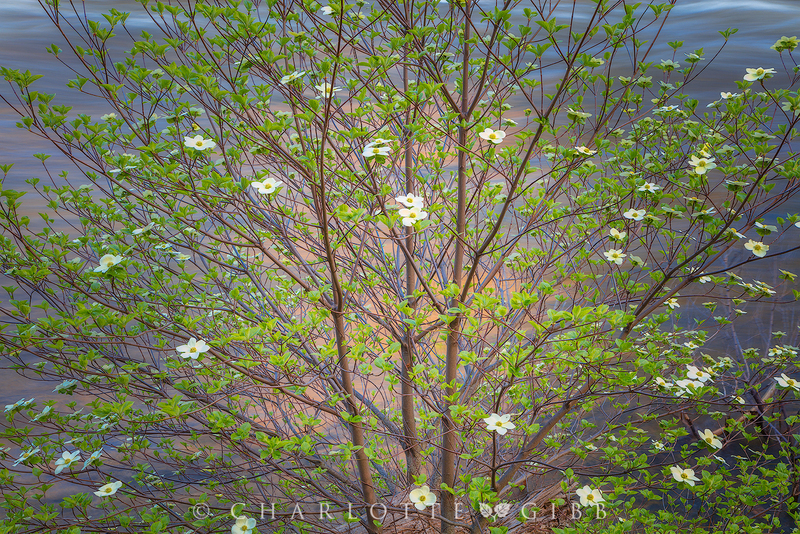 MAY — “Dogwood and Yosemite Light”, Yosemite National Park. Canon 5DsR with Canon 24-105mm f/4L IS lens. 58mm, ISO 50, f/16, 1.3 sec. Our German friends generously invited us to come cruise around the island of Majorca, Spain on their yacht with them. 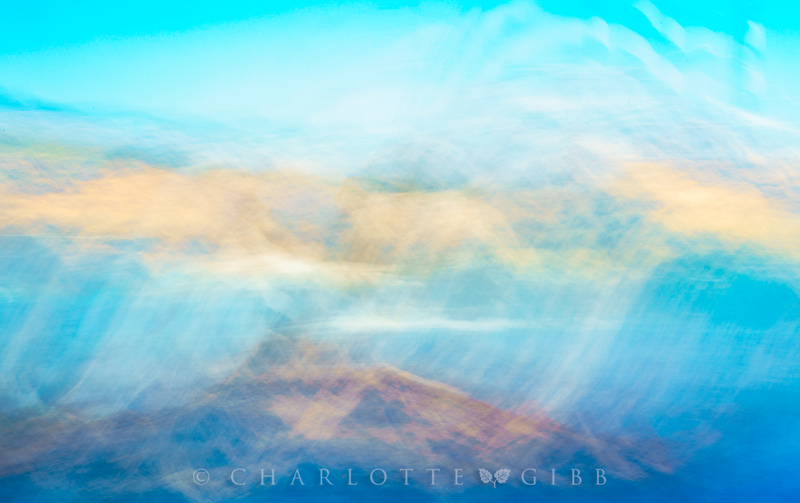 Armed with one camera and one lens, I strove to make interesting photographs sans tripod as we pitched and rolled through the Mediterranean. After a while, I abandoned the faster shutter speeds and just threw caution to the wind. The boat provided the motion. The Mediterranean provided the color palette. JUNE — “Mediterranean Colors”, Majorca, Spain. Sony a7RII with Sony 24-240mm f/3.5-6.3 lens. 66mm, ISO 50, f/32, 4 sec. We stayed a week with an old friend in England and his beautiful family. 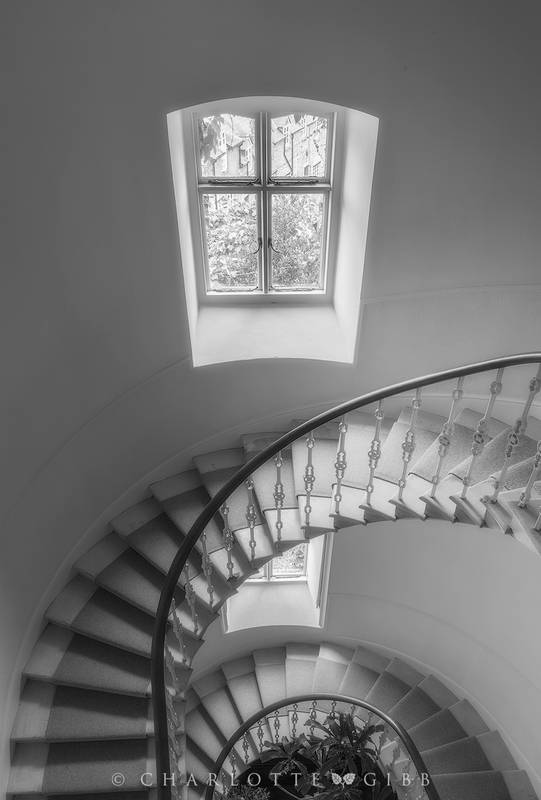 Their home was an 18th century manor house with a magnificent cantilevered stone staircase and cast iron balustrade that seemed to float in the air. JULY — “Stairway to Heaven”, Steeple Aston, Bicester, England. Sony a7RII with Sony 24-240mm f/3.5-6.3 lens. 24mm, ISO 50, f/16, 1.3 sec. The most challenging photograph I’ve ever made is this one. There was no practicing for photographing the solar eclipse, and no room for error. Everything had go exactly according to plan, and there were so many things that could have gone terribly wrong, but didn’t. As soon as the eclipse was over, I couldn’t wait to do it all over again. AUGUST — “Total Solar Eclipse Sequence”, Jackson, WY. Sony a7RII with Canon 100-400mm f/4.5-5.6L IS lens and Canon 1.4EF extender and 18-stop neutral density filter. 560mm, ISO 100, f/9, 1/13 sec. Composite image of 7 exposures. I had always wanted to photograph the Canadian Rockies, but I didn’t want to go there alone. Grizzlies, right? 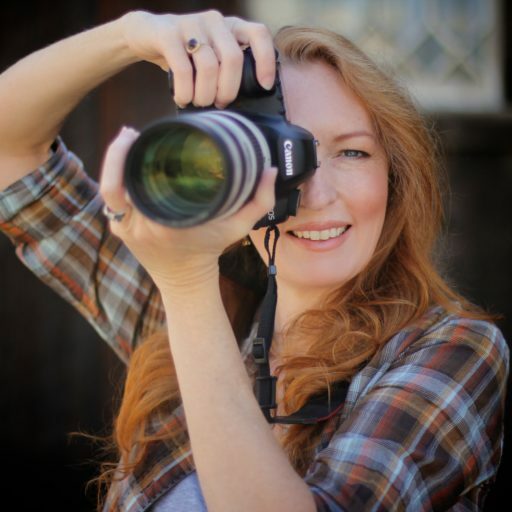 So, I signed up to go with a small group of photographers. As is often the case with landscape photography workshops, I was the only woman in the group. In a Suburban with my five companions, we chased light from one end of the Rockies to the other. I didn’t see any Grizzlies, but we saw Bighorn Sheep, and lots and lots of beautiful mountains. SEPTEMBER — “A Storm’s A Comin'”, Canadian Rockies, Banff, Canada. Sony a7RII with Canon 24-105mm f/4L IS lens. 35mm, ISO 200, f/8, 1/200 sec. 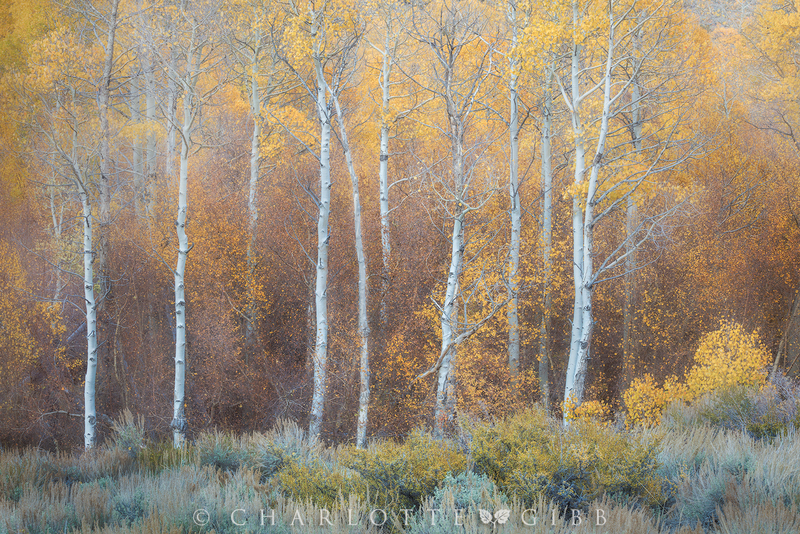 I had the pleasure of assisting Michael Frye for his Eastern Sierra Fall Color workshop in October. It was a talented, enthusiastic group of photographers, and I had a blast teaching and helping out in whatever way I could. The Eastern Sierra is home to some lovely Aspen groves. I prefer to photograph them like this — in the soft light after the sun has set and the colors are subdued. OCTOBER — “Autumn Dream”, Eastern Sierra, California. Canon 5DsR with Canon 70-200mm f/2.8L lens. 80mm, ISO 200, f/16, .3 sec. I went alone to Zion National Park in November. When Gary and I had visited the park in April, I vowed to come back in the Fall to photograph the Autumn foliage. I spent a week there in all, hiked all over the place with my trusty Spot device on my pack should I need emergency assistance. Toward the end of the week, I finally got to hike The Narrows. If you haven’t done The Narrows, it involves hiking in the river for miles, and at times, the water is up to your hips. With camera gear, it can be tricky. But, it was breathtaking. 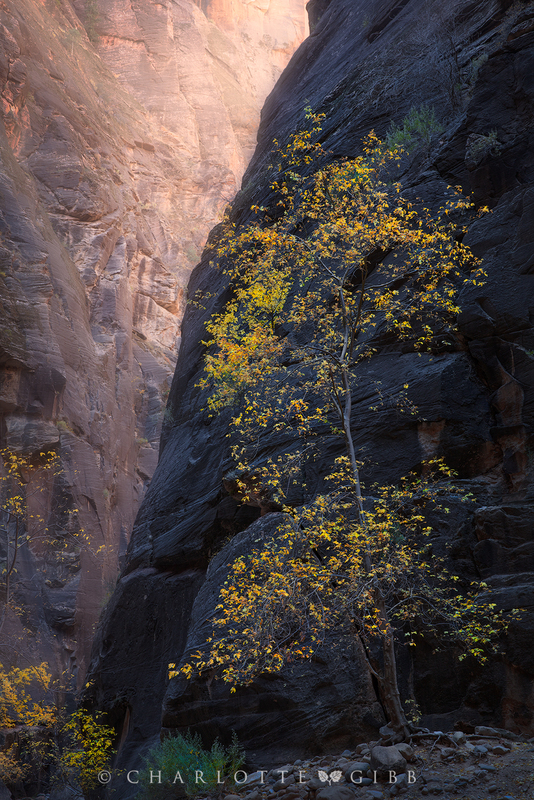 NOVEMBER — “Zion Gold”, Zion National Park, UT. Canon 5DsR with Canon 24-70mm f/2.8L lens. 53mm, ISO 100, f/16, .6 sec. Ending the year with a quick trip to Yosemite was the best way to wrap up 2017. 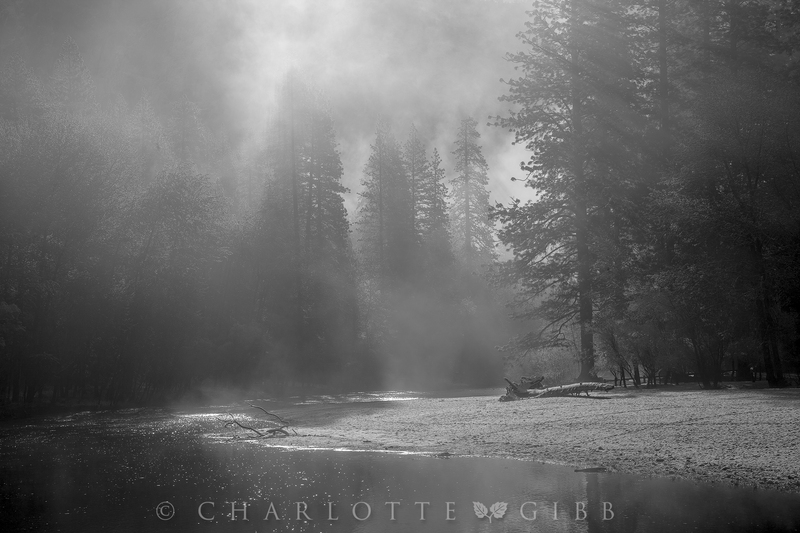 DECEMBER — “Good Morning”, Yosemite National Park. Canon 5DsR with Canon 24-105mm f/4L IS lens. 65mm, ISO 100, f/16, 1/250 sec. If you want to see more of my work from 2017, visit my website for a portfolio of Recent Work.